Delegates voted in favour of Miami being a world-class seat for arbitration at this year’s Latin Lawyer – GAR Annual Arbitration Summit, but panelists were more cautious, agreeing much of its popularity in Latin America was down to its location. A mock inquisition of panelists earlier this year revealed mixed opinions over whether Miami should be classed as a world-class seat for arbitration. White & Case partner and the panel’s lead inquisitor Jonathan Hamilton framed proceedings by noting the facts. “In one recent year, the difference between ICC cases seated in New York versus Florida was only three,” he said. Holland & Knight LLP partner and inquisition panellist Adolfo Jiménez helped explain why Miami is proving popular. “You have much lower costs and better language skills here in Miami than in New York,” he said. This “bicultural” atmosphere has drawn many Latin American countries to set up operations in the city, making it a natural choice as a seat. This pro-arbitration stance will entice some Latin American companies, which are increasingly favouring arbitration proceedings rather than local litigation. 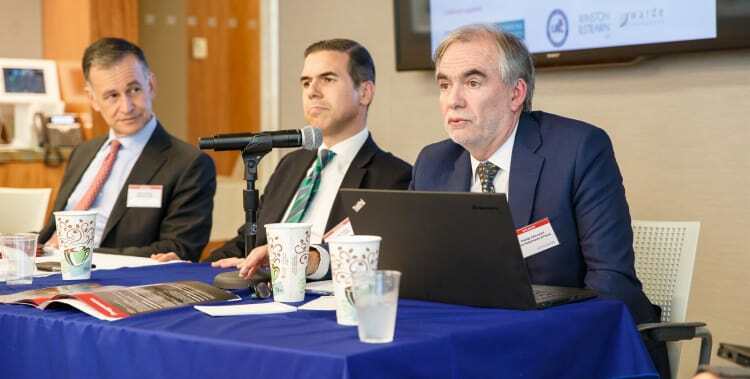 “For businessmen in Latin America, at least in some countries, arbitration is a must, because you don’t want to go to the state for justice,” said Rodrigo Jijón-Letort, a partner at Ecuadorean Pérez Bustamente & Ponce Abogados. However, Miami’s arbitration-friendly laws don’t help matters if you are an Ecuadorean company. Jijón-Letort spoke of the “political decision” of many Latin American countries not to choose Miami, or any US city, as a seat for arbitration. “The government of Ecuador, for example, doesn’t want anything to do with the US and would never accept an arbitration clause in government contracts which have jurisdiction in New York or Miami,” he said. To save money and ensure awards are enforceable, Latin American parties may choose a seat in the region, like Bogotá or Santiago. “I would not expect the governments of Ecuador, Colombia, or Peru to arbitrate in the United States,” said Jijon-Letort. Miami’s arbitration laws may not be perfect either. As well as its state arbitration law, Miami also recognises the federal government’s 1925 United States Arbitration Act, which is applicable in both state and federal courts. Chaffetz Lindsey partner Aníbal Sabater said Miami “commits the capital sin of having the dual regime.” He argued that having the two Acts creates confusion over which Act applies and said the standards of the Federal Act are “quite apart” from the standards of general arbitration practice. There were also more jocular questions over whether Miami’s location was more of a distraction than a strength. “Is Miami a serious seat of arbitration or is it a playground?” asked Arent Fox partner and panel inqusitor Hunter Carter, recounting his time as a law student on Miami Beach, constitutional law textbook in hand and surrounded by sun-creamed tourists. “Some call Miami the sixth borough [of New York]; but I’ve had a different experience,” he said. Some lawyers may also have a tendency to diminish Miami’s standing by sticking to what they know. “When they study their master of law in the US, they always take the New York bar,” said Arnold & Porter Kaye Scholer partner Gaela Gehring Flores, who was the last of the panel’s inquisitors. “Those lawyers then return home, and are the ones who draft arbitral clauses,” she added. This creates a bias in favour of New York. And choosing an arbitration seat and holding hearings elsewhere could become more popular in the years to come. “There’s a lot of movement in that direction in the market to divide between the legal seat and the actual place where you hold hearings,” Hamilton said. Latin Lawyer’s coverage of the conference concludes today. Previous panels focused on the use of statutes when enforcing arbitral awards against non-signatories; why price evaluations and competition are causing a rise in M&A disputes; and why white-collar crime lawyers and practitioners from other legal disciplines should be used more often during arbitration proceedings.